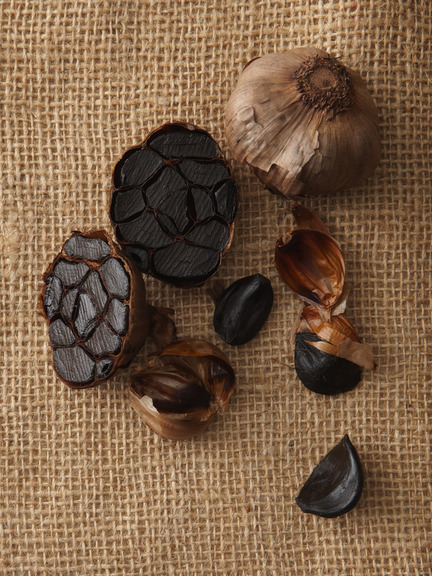 Black garlic is a fermented garlic done by uses heat and humidity to alter the sugar and amino acid balance, producing melanoidin, which is what causes it to turn black. 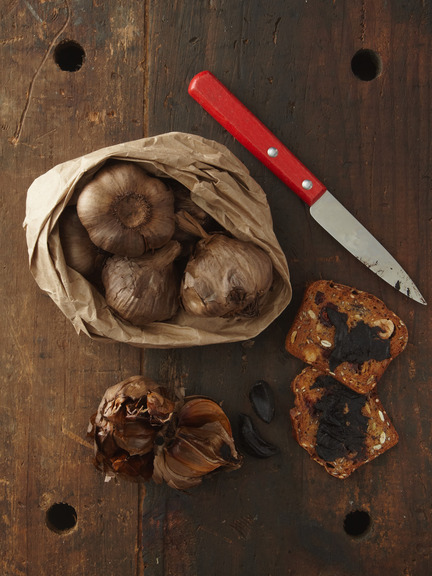 What comes out is a sweet, almost syrupy clove that is something like tamarind mixed with a bit of balsamic vinegar. Try a Korean grocery or a market that carries artisanal products, like a Whole Foods or similar.